Today was a hot and sweltering day, signaling the true beginning of summer. As usual, I decided to walk to the local café, because I enjoy the caffeine jolt of a strong cup of coffee. I regularly purchase the 20 ounce size, and at my outlet they charge $2.25 for the privilege. Some people think it’s a bit much for a cup, but I gladly pay for what I think is good value. On this particular day, I decided that drinking something with the warning “…careful, the beverage you are about to enjoy is extremely hot…” might be a mistake. So instead I asked what an Iced Coffee would cost. “That would be $3.25” was the reply. “One dollar for a cup of ice?” I asked in a puzzled tone. Well, I decided to order my regular burning hot cup on principle. Fine. I took my booty, walked over to the condiment station, poured the hot coffee over the ice, threw the paper cup away, and merrily left to face the heat and humidity. Believe it or not, if this example makes sense to you, then you understand what participants in the financial markets call an “Arbitrage Opportunity”. A clever person (let’s call him a “Trader”) will identify opportunities in the market, and trade to take advantage. One of the fascinating innovations of the Financial Markets is the ability to sell something “short”. To sell short is to establish a market position by selling a security one does not own. We will use our Iced Coffee example to illustrate. 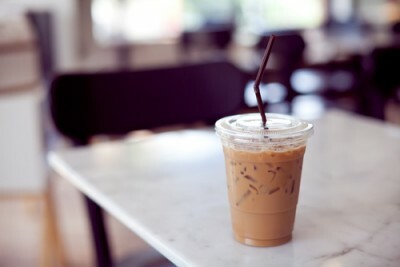 In the market, a Trader seeing an opportunity will offer $3.25 cups of Iced Coffee to the public at a nearby street corner. The Trader doesn’t have any coffee, so if he sells a cup, he quickly rushes into the café, and orders a coffee at $2.25 with a free cup of ice. He quickly converts the regular coffee into Iced Coffee, and delivers it to the purchaser to close out the sale from a few moments earlier. In our example, Trader was “short” an Iced Coffee when he accepted an order on the street corner for a product he wasn’t immediately able to deliver. He “closed out” his short position only after he bought (or went “long”) a cup of hot coffee at the café and delivered it to his street corner customer. What happens now? Well, not everyone is going to want to pay $3.25 for Iced Coffee, especially when they realize after watching the Trader run back and forth that they too could create the drink for less money. So as the Trader cycles more and more coffee through this profit-making machine, the market notices, and he has to drop the price so people will continue to buy. The offers begin at $3.20, soon $3.00, and finally $2.80. Our café friends are not too happy either. It would not take very long for them to figure out what the Trader was doing, so they soon start charging 25¢ for the ice, then 50¢, and finally 75¢, and then “presto” the opportunity is gone. The Trader can create an Iced Coffee from piece parts that now cost $3.00, but can only sell it for $2.80. So he’ll pack his bags and wait for the next chance. For you coffee purist out there (and you know who you are), they point out that iced coffee is brewed and chilled, and my “cup of ice” coffee gets diluted as the ice melts. Yes, I took a conceptual liberty, but this Neanderthal still thinks that my coffee tastes great. This type of activity occurs from time to time in the financial markets in all sorts of assets, including stocks, bonds, and commodities. In fact participants have computer programs that are constantly analyzing different combinations of investments to find less expensive ways to buy and sell equivalent assets. Once these programs identify an opportunity, they automatically trade to profit from it. Amazing isn’t it? Easy to understand. However, because our financial markets are reasonably efficient, arbitrage is difficult to execute. At least not without a few Physics and Math PhD’s at your disposal, along with an investment banker or two. I enjoy pondering this kind of stuff, because the financial media often reports on these concepts in a manner that is almost impenetrable for the public. Ripping away all the jargon, it’s fun to talk about a complex activity in an accessible way, and share my expertise. Alright. All this talk is making me thirsty.